Oh spring was in the air and we thought that we would wander and wander we did all the way to the CC Bavaria ground in Züricherstrasse. Well, ten of us did, the eleventh, James Reid who had only been roped in on the Saturday, didn`t arrive. Could it be that he actually went to Zürich as he is new in Munich? 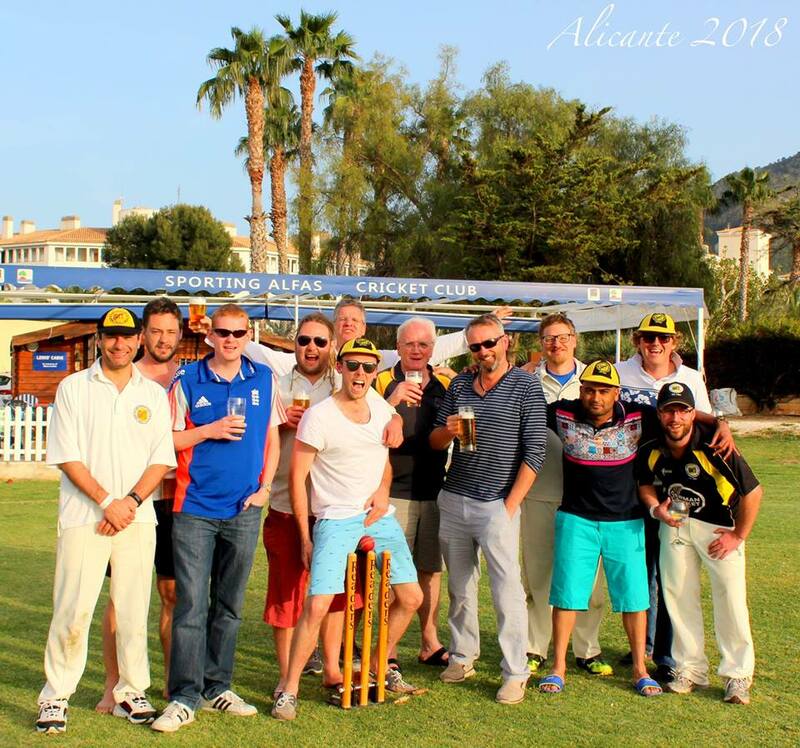 The MCC squad consisted of four old timers and six new players, some of whom were improperly dressed but had received previous approval as it was the first match of the season and they were surprised by the sudden arrival of cricket after a seven month lay off. It was a beautiful spring day around 18°C with a blue-white sky and the undergrowth not yet luxurious enough to mean half the afternoon spent looking for the ball. With the club captain and vice-captain away searching for the mythical source of Balkan Sobranie – always a great smoke – captain for the day Blades won the toss and chose to field not knowing the majority of the team and their capabilities. Scott opened with his usual parsimonious first over, no wides and only one run from it. New boy Hashjimi had more of a problem with wides and bowled five of them in his three overs which went for 21. Scott had a very good first session of 2 for 19 in five, four of the runs due to weak fielding by players unused to the rough outfields we play on in Munich. Scott was actually on a hattrick taking his first wicket with the sixth ball of his third and his second with the first ball of his fourth over. Qureshi had a good opening spell of 0 for 14 off four, Blades was rather unlucky going for 24 for 0 in three. 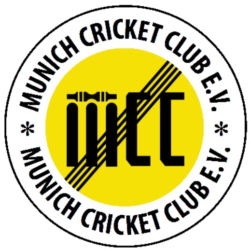 Carrie had a superb spell going for 1 for 8 off four, Gandham was not so lucky going for 28 for 0 off four, Ishtiak was unlucky going for 24 for 1 off 3 and off spinner Kettle had a brutal introduction to the Munich pitches going for 23 for 0 from his two overs. CCB finished on 256 for 9 off their 40 overs, MCC sticking to tradition and bowling 30 wides. MCC opened the batting with Mitchell and Nandikoor who had volunteered to keep and had done well. Their opening bowler Habib was very tight and brought some good defensive stroke play from Nandikoor. Simran their second bowler suffered too from the wide complex and went for 14 in his first over. In his second though he got Mitchell caught for 8. In the next over Kettle joined the duck race and two overs later Nandikoor went for 5 leaving MCC on 32 for 3. In the same over Gandham contested the duck race but Ishtiak was looking confident. In the ninth over Hashjimi went for 1 and in the 10th over Qureshi went for 2 leaving us on 53 for six down. Carrie now came to the crease his eye flashing determined to show daughter Sonia what cricket was about. He and Ishtiak put on a splendid partnership of 31 before he received a real bummer that cut the daisies heads off. Captain Blades replaced him and faced 12 balls plus four wides before he scored but put on another admirable partnership with Ishtiak of 30 before Ishtiak was bowled by the CCB Aussie who also took a skyed catch off Scott, our last man, allowing him to enter the duck race too. The newcomers had difficulty adjusting to the rough outfield as does everyone used to billiard table playing surfaces but it will only get better as they become more used to the conditions. Catching was poor, some four being put down which would have made the target more achievable. Scott, 0, caught, 7 overs, 1 mdn, 36 runs 3 wkts. MCC MOM: Carrie who just pipped Scott and with special mention to Blades for remembering the names of all the new players when setting his fields.